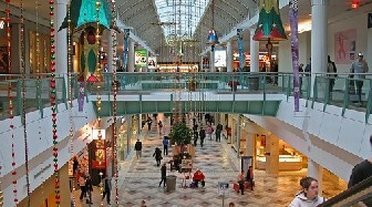 South Shore Plaza in Braintree Massachusetts is a premier shopping mall close to Boston with 4 department stores to serve you - Macys, Filenes, Lord and Taylor, and Sears. 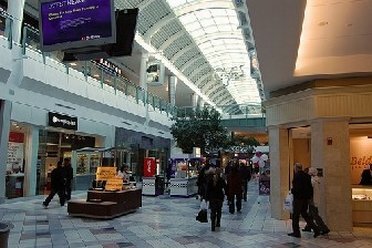 There are two floors with almost 200 other shops including Coach, Banana Republic, Godiva Chocolates, the Gap, and Kay Jewelers. This shopping mall also has the Simon Youth Foundation and the Kidgets Club. 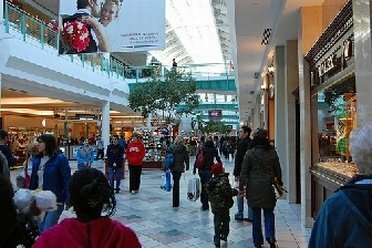 Dining at South Shore Plaza in Braintree Massachusetts includes such restaurants as Au Bon Pain, Bringhams, the Bourbon Street Cajun Cafe, Auntie Annes Pretzels, Legal Sea Foods, Johnny Rockets, Master Wok, McDonalds, Pizzareia Uno, Quiznos, and the Rock Bottom Brewery. South Shore Plaza in Braintree Massachusetts is open Monday through Saturday from 10:00 am till 10:00 pm, and on Sunday from 11:00 am till 7:00 pm. South Shore Plaza in Braintree Massachusetts is the shopping mall at the corner corner of Route 3 and I-93, close to Boston. Main shops: Macys, Filenes, Lord and Taylor, and Sears.